There are numerous Alabama legal gambling options available to residents and state visitors through licensed and regulated offshore online platforms which we provide here as the state has yet to legalize and regulate domestic online gambling opportunities. Alabama has a unique relationship with gambling. While the state offers some forms of gaming, locally available options are limited to pari-mutuel wagering, charitable gambling, bingo, and Class II casino gaming. Casino gambling in the state is allowed within four tribal-owned brick and mortar venues and within a few riverboat casinos, however, due to their Class II game limitation neither table games nor poker gambling is available. Recently, there was an attempt to introduce a state lottery via voter referendum, however, the referendum did not receive enough support behind it. The recent movement regarding the expansion of the gambling industry in Alabama shows interest by residents and lawmakers for change - no matter if unsuccessful during the first few attempts. This Alabama online gambling guide will provide the latest information relevant to the progress of any online gambling expansion legislation, as well as, details on lawfully available forms of gambling permitted by the state. The gambling laws in Alabama regulate its current domestic market. Commercial casino gambling is actually not considered sanctioned in AL, with the exception of four tribal casinos and a few riverboat casinos. However, even these allowed tribal and riverboat casinos are limited in the games they can licitly offer. Other types of regulated gambling in Alabama include pari-mutuel wagering and charitable gambling in the form of raffles and bingo games. Several racinos and non-tribal gaming properties are attempting to receive clarification from the state on offering electronic gaming machines like slots at their venues. Some of these venues underwent a lengthy legal battle with the state which ended rather badly. Therefore, rather than offering these games outright, they would prefer to wait on word from the Alabama legislature. Alabama has not made a move to regulate online gambling in any form via their state legislature, hence they do not offer any legal state-regulated online gambling options. However, the state does not have any law which expressly prohibits AL residents or visitors from participating at licensed offshore online gambling platforms. In addition, there are no federal laws which ban Alabama residents from participating on these licensed and regulated offshore gambling sites. Bovada is the top rated site that accepts all USA players. The reason players love betting at Bovada so much is mostly due to the fact that they offer everything under one roof. Meaning players can bet on their favorite sports teams, play over 130 online casino games, enjoy real money poker and a lot more. They are one of the biggest and most trusted names in online gambling, and they accept all Alabama players. Is Casino Gambling Legal in Alabama? While the above-mentioned gambling options exist they are limited in the types of games and activities they can offer. Therefore, we recommend using licensed offshore online casino gambling sites which allow players as young as 18 to participate. Is Online Casino Gambling Legal In Alabama? The state does not have any law expressly prohibiting licensed offshore online gambling, however, as we mentioned above the state has yet to determine if it would like to regulate its own online gambling options. Therefore, AL residents and state visitors can validly gamble online through these recommended licensed offshore platforms. This is because there are also no US federal laws which criminalize gambling online at licensed offshore sites. Just be sure to steer clear of unregulated or unlicensed online gambling destinations as these impose great risk in terms of security and legality. There are a number of legitimately regulated online casinos that are based outside of the United States. Only a gaming commission representing a respected governing jurisdiction can legitimatize and license an online casino. Therefore, our team of analysts has carefully reviewed and evaluated each of the brands you see listed below to ensure they are operating legitimately within the industry, offer a reputable and high-quality gaming experience, and meet our stringent standards for inclusion in this guide. Is Sports Betting Legal In Alabama? For those AL sports fans who enjoy betting on the Crimson Tide, Auburn Tigers or any other type of college, professional or International sports, we imagine you’d be interested in learning more about the legality of sportsbook gambling in Alabama. While AL has no state-regulated sports betting opportunities as of this moment, the state is considered legislation to regulate this domestic gambling form. There is one law among the US federal laws which governs the transmission of betting information in the USA known as the Federal Wire Act which at one point was interpreted to prohibit US-based online sports betting operations but was later reinterpreted. The new 2019 DOJ Opinion on the Wire Act's scope has revived state concerns involving this law. For this reason, we believe that Alabama may hold off on presenting any sports gambling legislation until the matter is settled. Is Online Sports Betting Legal In Alabama? While there are no state-sanctioned sports gambling options the state either in-person or online, AL players who are at least eighteen can still enjoy sports gambling online from licensed offshore platforms. Alabama does not have any state laws which make it illegal to gamble on sports from an online offshore platform. However, note that participating in an unlicensed and unregulated offshore sports gambling site can put you in trouble with the law and at risk of becoming a victim of fraud or theft. We recommend everyone read our page on whether or not online sports betting is legal in the United States to gain a better understanding. Our expert team knows how to identify a legitimately licensed and safe offshore sportsbook. They do this by carefully evaluating the online sportsbook options available, checking for proper licensing, regulatory compliance, and competitive betting lines, odds and paylines. Below we recommend the most secure and reliable sportsbooks without hesitation. Is Poker Gambling Legal In Alabama? Poker is not warmly embraced by the state, which has left residents to find other options as there are no poker rooms to be found in Alabama. In addition, domestic casino gambling options are so limited in terms of their game selection they cannot lawfully offer poker gambling. Therefore, AL residents and state visitors often have to rely on licensed offshore online poker sites to get their fix. Is Online Poker Gambling Legal In Alabama? AL state laws do not prohibit players in the Cotton State from engaging in licensed and regulated offshore online poker. Nor are there any federal laws which prohibit this domestic access to licensed offshore platforms. While the DOJ investigation into several prominent online poker brands in 2011 may have left this impression that is not the case. Those particular poker sites were suspected of not adhering to regulations set forth in the UIGEA law, and none of the investigations were ever directed towards players. We recommend several safe and legal online poker sites which are licensed offshore to AL players below. Our team has thoroughly vetted these online poker sites for legal sanction, compliance certification, and regulation by a legitimate governing jurisdiction outside fo the United States. What is the minimum legal gambling age in Alabama? The minimum legal gambling age in Alabama is 18 for charitable gambling like raffles and bingo games, pari-mutuel wagering at Birmingham Race Course, and licensed offshore online gambling. Bettors must be 19 years old to wager on horse and dog races at Mobile GreyHound Park and in Green County. Land-based casino venues like tribal casinos and riverboat casinos require players to be a minimum of 21 years of age to participate. What are the penalties for violating Alabama’s state gambling laws? Alabama gambling laws are very clear concerning what types of gambling are illegal. Unlike most states, Alabama does not make exceptions for players versus providers of illegal gambling. Basically, the state expects you to be making informed decisions regarding your involvement in betting entertainment, and ignorance is not a defense in Alabama. Knowingly profiting from an illegal gambling activity as a player carries a charge of simple gambling, which is a Class C misdemeanor. Any person who illegally has a gambling device can be charged with a Class A misdemeanor and face up to a year in jail and a six thousand dollar fine. What forms of gambling are currently legal in Alabama? 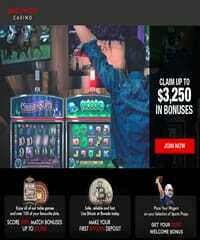 Casino Gambling – There are four Indian casinos operating in Alabama, as well as multiple riverboat casino destinations. Other than these two options, commercial casino gambling is not legal in Alabama. Offshore online casino gambling is legal as long as you visit a site that has been legitimately licensed and regulated outside of the United States. Poker Gambling – Poker games for real money are not legal in Alabama. However, online poker rooms are filling this void nicely. Offering players a chance to enjoy some online poker gaming from their computer, smartphone or tablet. You are not violating any state or federal laws by participating in legally licensed and regulated offshore online poker games. Pari-mutuel Wagering – Pari-mutuel wagering is a legal form of gambling in Alabama. In addition to state-licensed betting on races, legally licensed online sportsbooks also offer AL residents a chance to legally bet on horse races and dog races online. 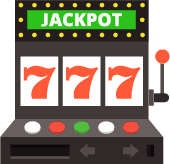 Lottery Gambling - There is technically no permitted lottery gambling run by the state or other US states (national lotteries) available within Alabama. However, there are several licensed offshore online lottery sites which allow AL players to purchase tickets and play online. Recent developments - Will Alabama legalize online gambling anytime soon? Legislation was recently introduced that would have provided the regulatory structure for legal non-tribal casino gambling to emerge in the state, as well as a state lottery. However, AL SB340 was unable to garner enough support. A second bill was filed to the Alabama legislature to allow a state lottery, now sits in the Senate. As far as state licensed online gambling goes, there has yet to be any introduction of any bills permitting such. When will Alabama legalize sports betting? Alabama recently submitted a sports gambling legalization bill to the state House legislature. The bill known as HB 315 or the Alabama Sports Wagering Act is sponsored by Rep. John Rogers. HB 315 would create and establish the Alabama Sports Wagering Commission, as well as, several other provisions. If passed, Alabama would be the second Southern US state to offer state-regulated sports gambling.